If you believe the reports, Apple is currently working on a way of charging iOS devices using solar panels. 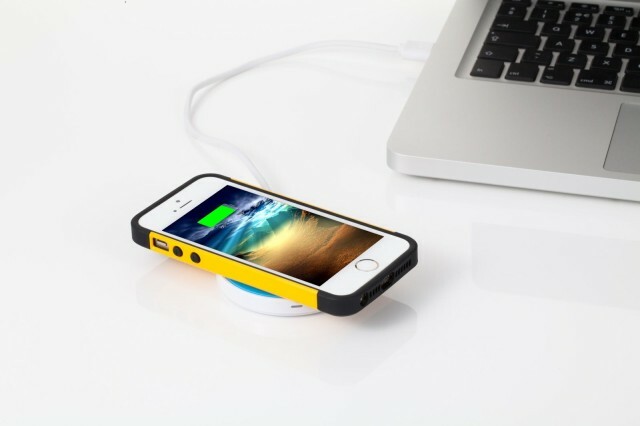 If you’re not content to wait, however, and want a quick-and-easy means of charging your iPhone or iPad right now, you might want to consider investing in this Indiegogo crowd funding campaign to create a mobile wireless charging solution for Apple products. Based on the increasingly popular Qi inductive electrical power transfer system, iQi Mobile Wireless is set to bring true, low-cost wireless charging to iOS device. This is done without the fuss of plugging and unplugging wires, since charging is achieved simply by placing your iPhone or iPad on a Koolpuck charger. The only downside would appear to be the fact that you have to keep your brand new iPhone in a soft case–fine if you want to protect it from scratches, but less good if you want to show it off to the world.